November 9, 2011 - Plots from Southwest Airlines and AirTran Airways voted to approve an agreement that will merge the two carriers’ pilot seniority lists into one. 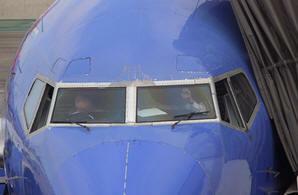 Southwest pilots approved this deal by 83.56 percent with 95.1 percent of their pilots voting. AirTran’s pilots approved the new agreement by 83.58 percent with 93.99 percent voting. Southwest Airlines’ purchase of AirTran was finalized on May 2, 2011. “I am extremely proud of our negotiators’ efforts to preserve and enhance the career value of every Southwest Airlines pilot and proud of our membership for demonstrating leadership by voting in favor of this negotiated list,” said SWAPA President, Captain Steve Chase. Airline acquisitions require the task of merging the seniority lists of work groups. The integration of the lists determines the order in which the pilots are placed. A pilot’s position on a company’s seniority list can determine career aspects such as earnings, city base and days worked. With an agreement finalized between the pilots, Southwest Airlines has one less roadblock toward full integration of the two airlines. Pilots from AirTran will spend the next three years transitioning from AirTran operations to Southwest. Groups of pilots will be transitioned into Southwest training classes in a process expected to last through the end of 2014. Soon leaders from both pilot groups will begin work with the many transitional and union representational issues that are still required moving forward. Located in Dallas, Texas, the Southwest Airlines Pilots' Association (SWAPA) is a non-profit employee organization representing the more than 6,100 pilots of Southwest Airlines. SWAPA works to provide a secure and rewarding career for Southwest pilots and their families through negotiating contracts, defending contractual rights and actively promoting professionalism and safety.